We are constantly trying to examine and improve the efficacy of the algorithm, and as part of this process we regularly back test its performance to make sure we are on the right track. We showed recently through the outperformance of the model portfolio that the overall Amphora process worked well in 2017, so we decided to take this a step further. The Amphora process is part quantitative, part qualitative. In simple terms, a wine has to have an incredible argument in its favour to qualify as an investment if it fails the quantitative tests applied by the algorithm. A recent example might be Margaux 2015, if the investment committee thought that the announcement of a commemorative bottle was likely to have a disproportionate benefit on a wine price which was otherwise not noticeably cheap, in relative terms. Such a decision would have been undeniably qualitative, because at £7,000 as recently as November, even assuming an “in-bottle” score of 100, there were better bargains around. A similar scenario would have been at work if the investment committee thought the withdrawal of Robert Parker from Bordeaux tastings might lead to an expansion of the premia on his existing 100 point-scorers, on the basis that there could never going to be any more, and the increasing scarcity would lead to disproportionate price expansion. The quantative side of the argument is entirely borne by the algorithm though, and by definition it is possible to measure the benefits such an approach might take. We have therefore back-tested the performance of wines selected by the algorithm at the beginning of 2017 against the performance of the Liv-ex 100. In order to make the 100 index a more exact illustration of the market place for its selection of fine wines, it weights the constituents. 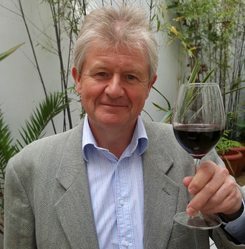 Liv-ex explains that it, “is calculated using Liv-ex Mid Prices and is then weighted to account for original production levels and increasing scarcity as the wine ages”. Unfortunately Liv-ex is loath to divulge the weighting details of the formula by which it eventually derives its index levels. What we do know, however, are the constituent names themselves, so we disassembled the index on an unweighted basis. The resulting picture showed that there are seven Lafites, six Cheval Blancs, five Moutons, four La Mission Haut-Brions, and so on, and the availability of this information allowed us to build up a comparative picture of wines selected on 3 January 2017 by the algorithm. To clarify, the index houses the following Mouton Rothschild vintages: 2000, 2005, 2006, 2009, and 2010. The top algorithm picks on 03/01/17 were: 2005, 2006, 2009, 2011, and 2012. There are similar differentials across the whole index, although not, interestingly enough, for two of the three DRCs, where the Romanée-Conti and the Richebourg index constituents are the same as the algorithm picks: 2012. The most extreme outperformance of the year was actually an index constituent against an algorithm pick: Opus One 2013 rose 37% over the time frame, against a flat performance from the algorithm’s pick, the 2002. For the most part though the algorithmic selections comfortably beat the index wines, Armand Rousseau Chambertin 2008 for example rising almost 50% against the index 2013’s short 14%. These extremes were atypical however, especially in the more predominant first growth and ‘Super Second’ examples. The index Lafites rose on average 4.8% against the algorithm’s 7.6%, while the four Léoville Las Cases index wines rose 4.6% against the algorithmic wines’ 13.1%, an outperformance centred on a 25% rise by the 2013. In aggregate, the index constituents on an unweighted basis rose on average 5.16%, while the algorithm wines rose 9.66%. This amounts to an outperformance of 87%, which is a considerable achievement, and seems to us to fully endorse the reliance we place on using the algorithm as a key wine selection tool. When you recall that the Amphora model portfolio rose 13.5% last year it is difficult to escape the conclusion that the qualitative inputs have added an additional level of outperformance to the benefit of utilising the algorithm. To a large degree this is akin to active as opposed to passive investing. In mainstream markets the pendulum has swung significantly in recent years over to the passive route, as investors have increasingly questioned the benefit of paying for fund managerial advice. Passive investing is not yet available in the fine wine space, but last year’s excellent performance, based on a model portfolio where the risk was kept deliberately low, suggests it isn’t even required. The fine wine market offers the opportunity to dial either up or down the level of risk. At Amphora we welcome enquiries from all potential investors and are happy to guide people through all ranges of investment risk, entirely at their own discretion. 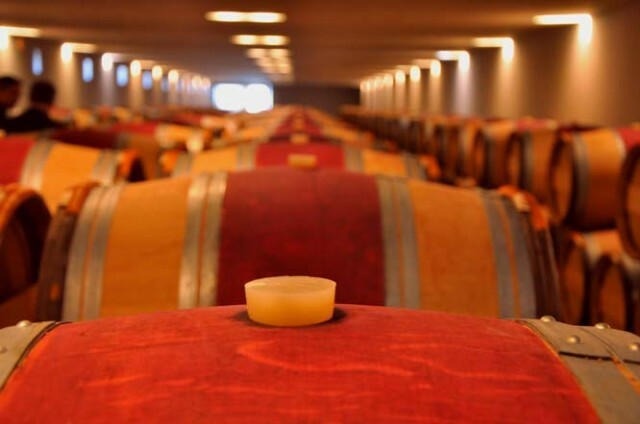 It goes without saying that in the current nervous stockmarket environment investors who are already moving into gold might also see this as a good opportunity to diversify into the considerably more flexible world of fine wine investment. Physical assets tend to do well in times of uncertainty and there is nothing like a thousand point fall on Wall Street and in Tokyo to give people the jitters. At Amphora while we remain sanguine about the global economic growth picture, we still see fine wine as a sensible diversification route irrespective of what happens in mainstream markets.